The Recycling Partnership, which already has the backing of a number of corporations and trade groups in setting up local curbside recycling programs nationwide, has a new supporter: the primary trade group for the bottled-water industry. 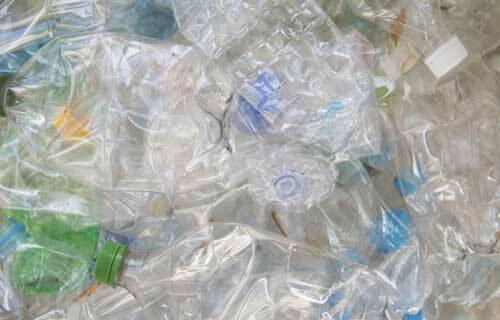 An association closely associated with water and plastics is doubling down on recycling. The International Bottled Water Association (IBWA) recently announced that it would offer financial support to The Recycling Partnership, an industry coalition focused on curbside recycling efforts. “The bottled water industry is actively working to build partnerships that will help increase recycling efforts, and the reliable, scalable results that the Recycling Partnership delivers are hitting the mark for us,” Chris Hogan, vice president of communications at IBWA, said in a statement. The Recycling Partnership was quick to welcome the 640-member IBWA with open arms. “IBWA unifies the bottled water industry in much the same way that we unify the recycling industry, making them great strategy partners for squeezing every last drop of goodness out of our work,” Keefe Harrison, the Recycling Partnership’s executive director, said in a media announcement. IBWA is one of many sponsors of the Recycling Partnership, in both the association and corporate sector, including the Consumer Technology Association, the American Chemistry Council, Coca-Cola, Heineken USA, and Procter & Gamble. The Recycling Partnership, formerly the Curbside Value Partnership, focuses on building and strengthening local recycling programs; last year alone it donated $11 million for new recycling infrastructure, providing funds for 165,000 recycling carts and helping 1.2 million households nationwide recycle. Plastic water bottles show up often in those recycling bins, and IBWA’s Hogan wants to ensure this trend continues.